Monitoring your applications running on Amazon's EC2 platform just got easier. Today, Amazon announced the public availability of CloudWatch for EC2 with Alarms. Instead of having to poll and ask CloudWatch for the current status, you can actually have that information pushed to you instead. 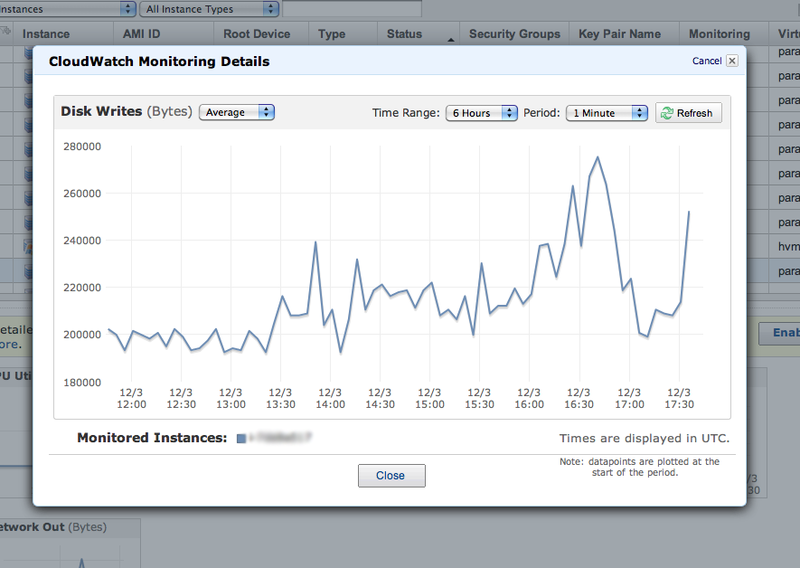 This is a much more efficient way to monitor you applications running in the Amazon cloud. Right now the only new alarm that is supported is for Amazon SNS, but this is a huge step forward. Before today, CloudWatch could still trigger an Auto Scaling policy, but with the addition of SNS the doors are really opening up. Using Amazon SNS, you can do almost any type of notification that you would like posting to HTTP/HTTPS, Email, JSON, or directly into SQS. This makes the service very flexible. You are able to monitor CPU Utilization, Average Disk Reads, Average Disk Writes and Network traffic in and out. Amazon has also enabled a new monitoring tab in the EC2 management console that will allow you to look at the graphs for these elements on each of your EC2 instances. The data only goes back to the 2nd of December since it was just released today, but this will be extremely useful for a quick read on how your instances are performing. Amazon is certainly hitting things on my wishlist this year. 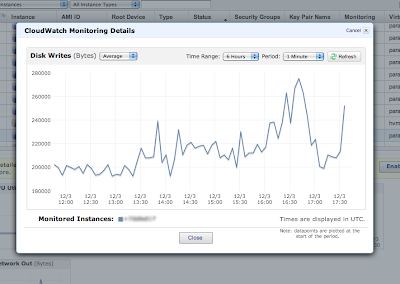 Now if they would only enable CloudWatch and Alarms for metrics on SQS! Hopefully this is just around the corner. You can read more about the new features and the pricing of CloudWatch on EC2 here. I've wrote a script (and a blog post) that can update your SQS queue in CloudWatch via a custom metric which will then allow you to assign alerts. Hi, You can use OpsGenie (http://www.opsgenie.com) to send rich alert for CloudWatch. You can configure CloudWatch to call OpsGenie web services API, get the right people notified rapidly via push notifications to iPhone/Android apps, SMS, voice calls, etc. according to the preferences of the recipients. Cloud is one of the tremendous technology that any company in this world would rely on (Salesforce Training in Chennai). Using this technology many tough tasks can be accomplished easily in no time. Your content are also explaining the same(Salesforce admin training in chennai). Thanks for sharing this in here. You are running a great blog, keep up this good work. Nice informative content on the latest technology and the placement is very important for the students to get placed in good companies. Good post. Keep updating.. Dot Net Training Institute in Chennai | Dot Net Training Institute in Velachery. Are you looking for a service to help you mua hang my ? Informative post. keep updating...CCNA Training Institute in Chennai | CCNA Training Institute in Velachery. Cloud champ contains information about various cloud technologies and announcements as well as code snippets. Great article with unique content, keep sharing your awesome blog..
Good and Nice Post, thanks for sharing this interesting article with smart and cute content. Excellent post..I have read your blog, its really interesting..Thanks for sharing.. Very interesting and useful information you have shared about Cloud watch. You described this post as easy understandable for freshers. Thank you. Nice article! It is really interesting to read from the beginning & I would like to share your blog to my circles, keep your blog as updated. Thanks for really being thoughtful and also for deciding on certain marvelous guides most people really want to ble aware of. Please continue. thank you for sharing valuable information. KEEP POSTING.